Listen in to our last show of the year as we review the film Concussion and the DVD Thomas Edison’s Secret Lab: Secret Lab Meeting. 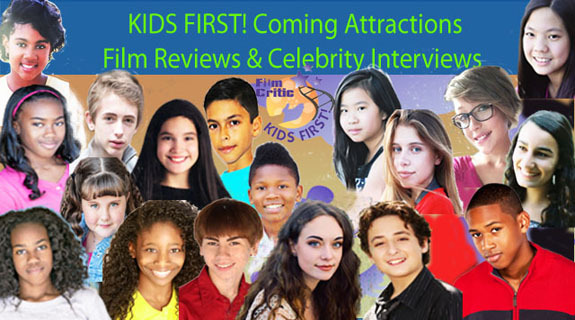 We also interview two incredible people who are great role models for kids. Moziah Bridges, the 14-year-old CEO of Mo’s Bows which won the hearts of audiences everywhere and a mentorship by Daymond John when Mo pitched his company on Shark Tank two years ago. Naomi Hirabayashi, part of the senior management team of DoSomething.org, the largest volunteer organization in the country for youth volunteers with over 4 million members. Hosts Gerry Orz and Brianna Hope Beaton are joined by KIDS FIRST! reporters. Abigail L., Benjamin P., and Harmony M. Before you spend you hard earned dollars at the movies, listen to what the KIDS FIRST! team has to say about them. This entry was posted on Tuesday, December 29th, 2015 at 1:31 am and is filed under KIDS FIRST RADIO. You can follow any responses to this entry through the RSS 2.0 feed. Both comments and pings are currently closed.